Angling within Tyne Riverside Country Park is controlled by the Tyne Anglers Alliance (TAA) , which is an affiliation of most of the local angling clubs to secure angling in (mainly) urban areas. There are two areas you can fish within the Park. These are the River Tyne and Throckley Reigh (pronounced reeth). See the map for the areas you can fish. In order to fish these waters you need to be a member of one of the affiliated clubs or an individual member of the TAA. Membership costs vary from club to club. Current membership fees for associate membership of the TAA and contact details for the TAA are shown below. Contact details for the TAA and some of the clubs are also available from the Rangers. You will also need a valid Environment Agency rod licence. These are available from any Post Office or via the Environment Agency's website (www.environment-agency.gov.uk/fish). Under 12's do not need a rod licence but must have a club/TAA membership. 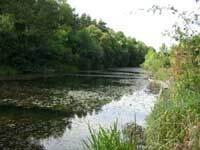 Please note that a licence gives you the right to use a rod and line but it does not give you the right to fish. 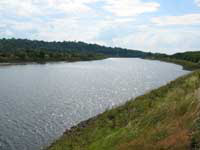 There is no close season on the Reigh, however the River Tyne has close seasons that must be adhered to. Fishing is permitted by rod and line only. In the Reigh all fish must be returned. In the river all freshwater fish and eels must be returned. Game fish of legal size may be taken from the river. Any game fish caught during the close season and undersize game fish caught at anytime must be returned to the water immediately. Game fish are trout, salmon and migratory (sea) trout. The complexity of fisheries byelaws and lease terms makes it unlawful to fish for salmon before 16th June. 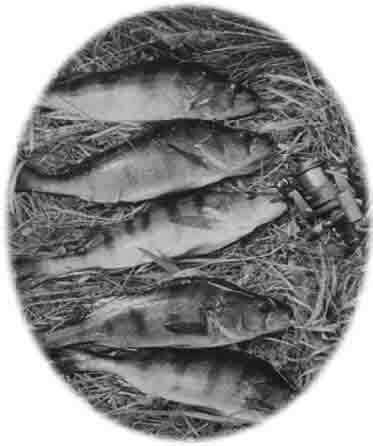 After 16th June the only method/bait permissible on the river for game fish is worm. For other rules and regulations please refer to the national and regional fisheries byelaws (available from the Environment Agency) and the TAA fishery rules (available from member clubs and the TAA). Respect other Park users, wildlife and the fish you catch. GENTLY return fish back to the water, DO NOT throw them back. Make sure you use a disgorger for fish that are deeply hooked. Don't be afraid to ask for help from another angler if you are having difficulty. Finally and most importantly ENJOY your angling!!! River Tyne: Dace, eel, flounder, brown trout, salmon, sea trout, and (the occasional) chub. NB: Please park only in the car parks, which are clearly marked on the map. Do not park on grass verges or obstruct access roads and footpaths. Please enclose a self-addressed envelope. Cheques/Postal Orders should be made payable to the T.A.A.